Khasais Ali (Arabic) by Imam Nasai. 260 pages. 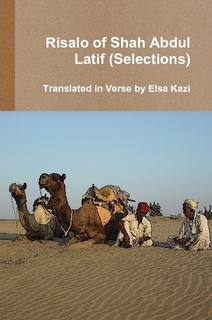 Published in Kuwait, 1986. Sayyiduna Zain al-Abideen, Arabic, 172 pages, by Dr. Abdul Haleem Mahmood (Egypt). Collection of Arabic letters (maktubat or risail) of a great Sufi master Shaykh Mawlay al-Arabi ad-Darqawi (d.1239 AH). 424 pages. Collection of writings of Ibn Shaheen al-Baghdādi (d.385 AH), a Sunni author and Hadith narrator. This includes a treatise on the virtues of Sayyidah Fātimah az-Zahrā. 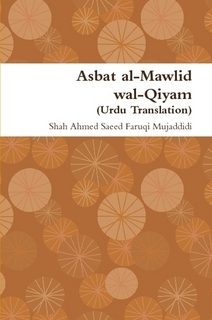 Ithaf as-Sāil (Arabic), by Imam Abdur-Rauf Manāwi (d.1031 AH). Virtues of Sayyidah Fātimah az-Zahrā. The Twelve Imams (Arabic), 132 pages, by Shams ad-Din Muhammad ibn Tulun al-Hanafi (d.953 AH), a great scholar and historian. Al-Aql wa Fahm-ul-Quran, Arabic, 532 pages, by the great saint and Sufi Harith ibn Asad Muhasibi (d.243 AH). Kitab-ul-Ilm, Arabic, 166 pages, by the great saint and Sufi master Harith ibn Asad Muhasibi (d.243 AH). Two books (combined) by Abu-Yaqub Yusuf ibn Yahya Tādili alias Ibn-Zayyāt (d.617 AH). At-Tashawwuf Ilā Rijāl Ahl it-Tasawwuf (a biographical encyclopedia of saints), and Akhbār Abi al-Abbās as-Sabti.